We provide volunteering opportunities for teens aged between 13 and 18 years old. You can develop skills, character and leadership qualities, and meet other young people. • a first aid certificate. They also learn about SES radios and how to use them, map reading and much more. We provide a child safe environment and comply with the Children's Protection Act 1993. Get a head start on becoming a volunteer member when you turn 18 years old. Fill out the Volunteer Registration Form for information on youth volunteering opportunities available near you. For a better understanding of what SES cadets do, watch this ABC BTN video. Challenge yourself by learning new skills in leadership, land search and much more. 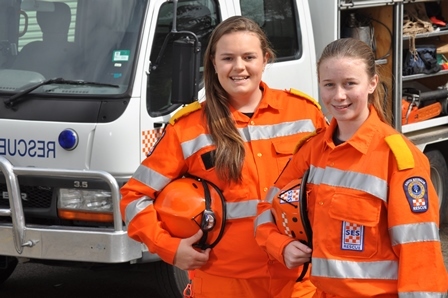 SES cadets who complete the free induction and basic akills programs can use them towards their South Australian Certificate of Education (SACE). Receive real world experience out in the community to help you with your career aspirations or just to do something different. Learn more about how to give back to your local community. You can also help build community resilience through educating your neighbours on how to prepare and respond to severe weather. Become part of a dynamic team environment and meet new people. Train together on a regular basis and learn from a diverse range of SES volunteers.